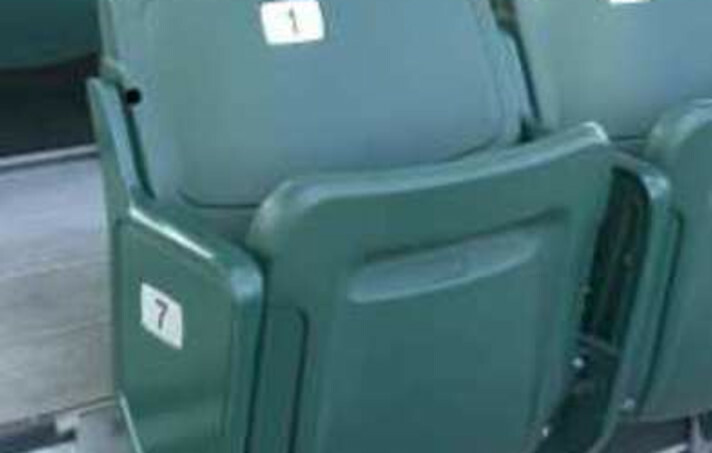 Stadium and grandstand chairs offer the most "private" seat in the house for fans, giving each spectator his/her own seat with separating arm rests. Stadium chairs feature a flip-down seat, giving fans more tread space to get into and out of their chairs. 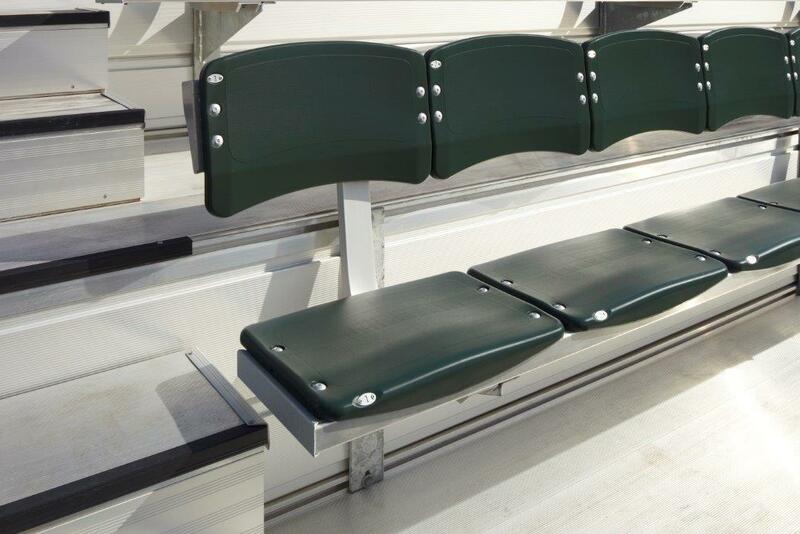 Southern Bleacher has trusted relationships built over decades with the best stadium chair manufacturers, offering durable plastic seats in a wide range of colors. Your Southern Bleacher project manager will gladly assist with drawings and dimensions for these stadium seating chairs on request. Note: Our Elite Seat series combined with blow-molded backrests combines the comfort and personal space of individual stadium chairs with the economic value of plank bench seating. 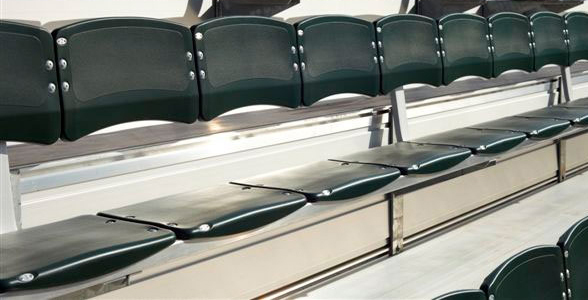 Learn more about the Southern Bleacher Elite Seat and Elite Seat II with individual backrests.